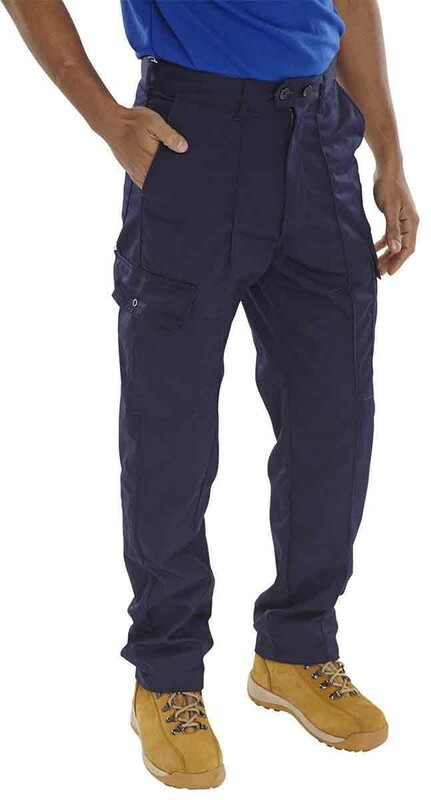 A 7oz work trouser which is great quality and great value. Poly/Cotton. Zip fly with hook/bar and button fastening. Belt loops. 2 swing hip pockets. 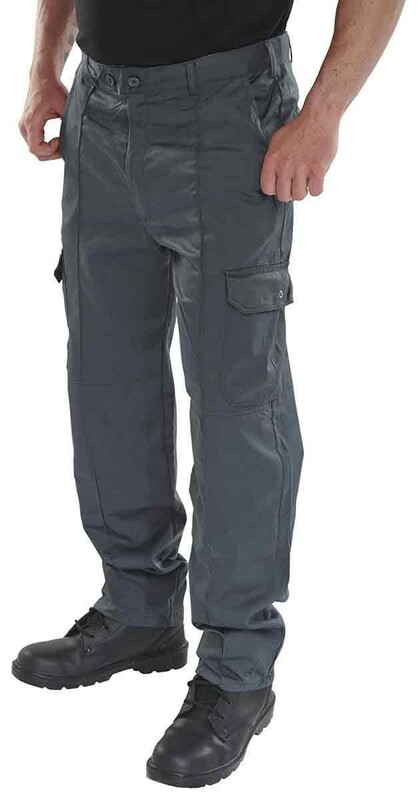 2 rear pockets with stud flap. Sewn in crease. Now features internal knee pad pockets. Short 30" leg, Regular 32" leg, Long 34" leg.